NEW YORK: Coca-Cola and PepsiCo said on Monday they're working to remove a controversial ingredient from all their drinks, including Mountain Dew, Fanta and Powerade. The ingredient, called brominated vegetable oil, had been the target of petitions on Change.org by a Mississippi teenager who wanted it out of PepsiCo's Gatorade and Coca-Cola's Powerade. In her petitions, Sarah Kavanagh noted that the ingredient has been patented as a flame retardant and isn't approved for use in Japan and the European Union. Coca-Cola and PepsiCo have stood by the safety of the ingredient, which is used to distribute flavors more evenly in fruit-flavored drinks. But their decisions reflect the pressure companies are facing as people pay closer attention to ingredient labels and try to stick to diets they feel are natural. Several major food makers have recently changed their recipes to remove chemicals or dyes that people find objectionable. While food companies stress that the ingredients meet regulatory requirements, their decisions reflect how marketing a product as "natural" has become priority and a competitive advantage. PepsiCo had said last year that it would remove brominated vegetable oil from Gatorade. On Monday, the company said it has since been working to remove it from the rest of its products. PepsiCo also uses BVO in its Mountain Dew and Amp energy drinks. The company, based in Purchase, New York, didn't provide a timeline for when it expects the removal to be complete. Earlier on Monday, Coca-Cola had also said that it's removing the ingredient from all its drinks to be consistent in the ingredients it uses around the world. In addition to Powerade, Coca-Cola uses BVO in some flavors of Fanta, Fresca and several citrus-flavored fountain drinks. The company said BVO should be phased out in the US by the end of the year. 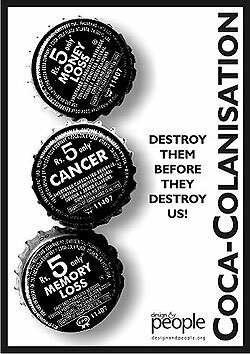 Coca-Cola said it would instead use sucrose acetate isobutyrate, which it noted has been used in drinks for more than 14 years, and glycerol ester of rosin, which it said is commonly found in chewing gum and drinks. A Coca-Cola spokesman, Josh Gold, noted that BVO isn't used in many other countries, but said it would be phased out in Canada and Latin America as well. The Center for Science in the Public Interest, a health advocacy group, notes that the Food and Drug Administration permitted the use of BVO on an interim basis in 1970 pending additional study. Decades later, the group notes that BVO is still on the interim list. Kavanagh, the Mississippi 17-year-old, had been planning on launching another petition on Change.org asking PepsiCo to remove BVO from all its drinks. She wasn't immediately available for comment late Monday. Earlier in the day, however, she said, "It's really good to know that companies, especially big companies, are listening to consumers." This is an very interesting information given by the author. Thanks for sharing informative post here.